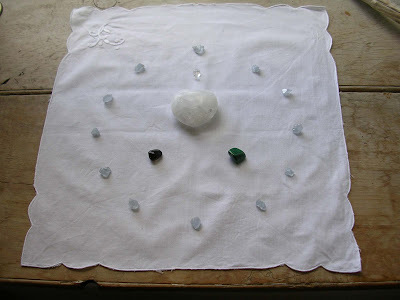 Tonight's meditation is following on from the Crystal Earthworks series of meditations which took place throughout the months of June, July and August 2009, to promote peace and bring healing across the planet - we hope you can join us. There will be a Crystal Earth Meditation tonight at the Pennine Healing Centre in Ripponden West Yorkshire, England at 7.30 pm for 7.45pm start. Please feel welcome to attend or join in from where ever you are based across the globe. This meditation will use a chunk of rose quartz as shown above. For details of how to connect in please visit the meditation page on the Crystal Earthworks website - see links. Welcome to our first posting for September 2009. Crystal planting reports have come in from Orkney, Scotland and Majorca, Spain this week. An aqua aura was planted on the West Mainland of Orkney and a Pure Grace Heart in combination with other crystals to Lluc on Majorca. 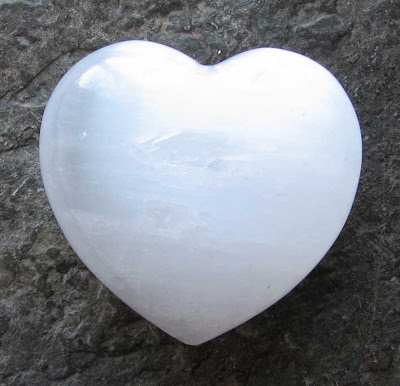 Both the Aqua Aura crystals and Pure Grace hearts are available for planting and for personal use to bring about greater spiritual connection and healing, [please get in touch if you would like further information on either of these and a big thank you to those of you sending in planting records.